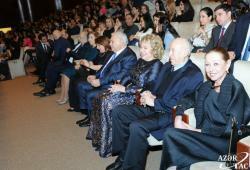 Days of Russian Culture in Azerbaijan solemnly opened at the Heydar Aliyev Palace on April 11. 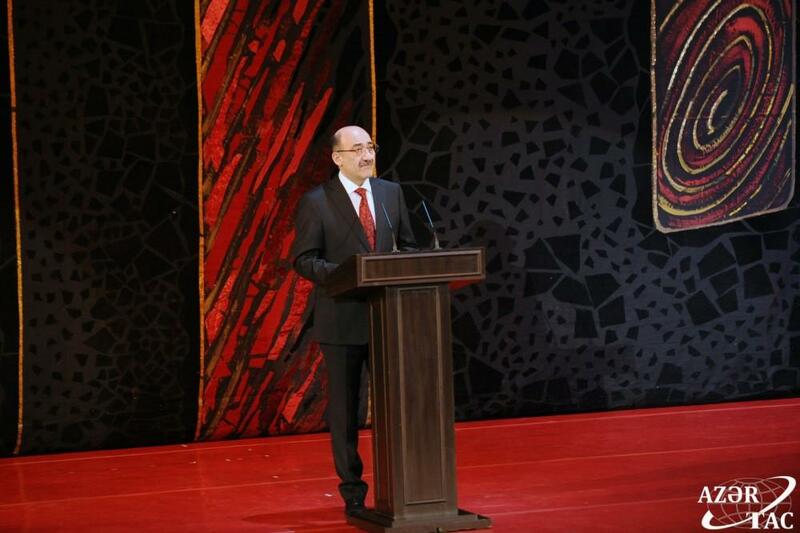 Addressing the ceremony, Azerbaijan Minister of Culture Abulfaz Garayev said that that holding the Days of Russian Culture in Azerbaijan is a significant event in the life of two peoples, Azertag reported. "Today, the world-famous Kremlin Ballet Theater will present us the play "Thousand and One Nights" by the outstanding Azerbaijani composer, People’s Artist of the USSR, Hero of Socialist Labor, State Prize Winner of the USSR Fikrat Amirov. 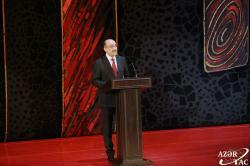 It should be noted that the set designer of today's performance is another great figure of Azerbaijani culture - the national artist Tahir Salahov," the minister said. 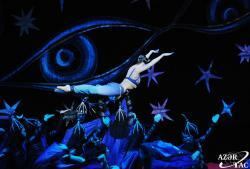 "The show "Thousand and One Nights" is timed to the 90th anniversary of the outstanding master of the brush. I would like to emphasize that Azerbaijan and Russia are connected by warm good-neighborly relations in many areas. Artists, masters of arts, creative teams of our countries take part in many festivals, symposiums, forums and other events held both in Russia and Azerbaijan. A number of cooperation agreements have been signed between the ministries of culture of the two countries. 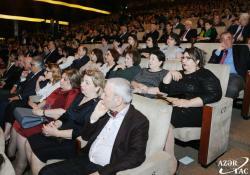 Once again I congratulate all those gathered at this remarkable event," Garayev said. 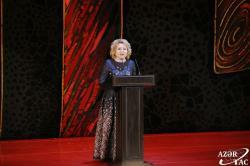 The Chairperson of the Federation Council of the Federal Assembly of the Russian Federation, Valentina Matviyenko, expressed her gratitude to the government of Azerbaijan for the warm welcome and support in holding the Days of Russian Culture in country. She noted that the peoples of Azerbaijan and Russia are bound by centuries-old friendship and a common historical path of development. This in turn creates the condition for further cooperation between the two states at the level of strategic partnership. "Presidents Vladimir Putin and Ilham Aliyev, who have warm, trusting relations, play an important role in strengthening ties between our countries. I would like to especially note that the Council of the Federation and the Azerbaijani parliament have been in constant interaction for many years," Matviyenko said. Valentina Matviyenko called the Baku International Humanitarian Forum an authoritative dialogue platform that plays an important role in bringing together Russia and Azerbaijan, especially in the humanitarian sphere. 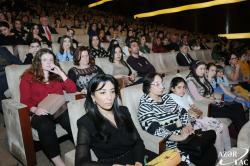 "Russia highly values ​​the preservation and promotion of the Russian language in Azerbaijan. There are branches of leading Russian universities, there are schools with the Russian language of instruction, for many years the Russian Drama Theater and many other activities. For all this I want to express deep gratitude on behalf of all Russians to the government of the Republic of Azerbaijan," she said. 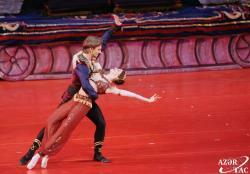 Afterwards, Russian Kremlin Ballet presented the play "Thousand and One Nights". 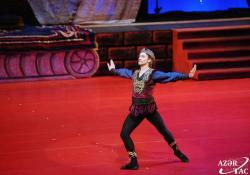 The play that has been successfully presented on the stage of Moscow's State Kremlin Palace since 2010 was warmly welcomed by the audience in Baku. Libretto of the ballet was written by Magsud and Rustam Ibrahimbayovs on the basis of the famous "Thousand and One Nights" tales. The producer is Andrey Petrov, People's Artist of Russia.